I took a different bus today, something I really should do more often. I was en route to Serangoon Rd to visit a temple I had missed, don't ask me how I missed it, I thought I'd been up and down that road many times, but anyway I digress and that's another post on another day! Today I alighted along Boon Keng Rd in Bendemeer and made my way along Serangoon Rd. Here I noticed a 1960s building, with what looked like older buildings at either end. Conveniently it turned out to be a stop on the Jalan Besar area Heritage trial, with a timely information board just where I stood! 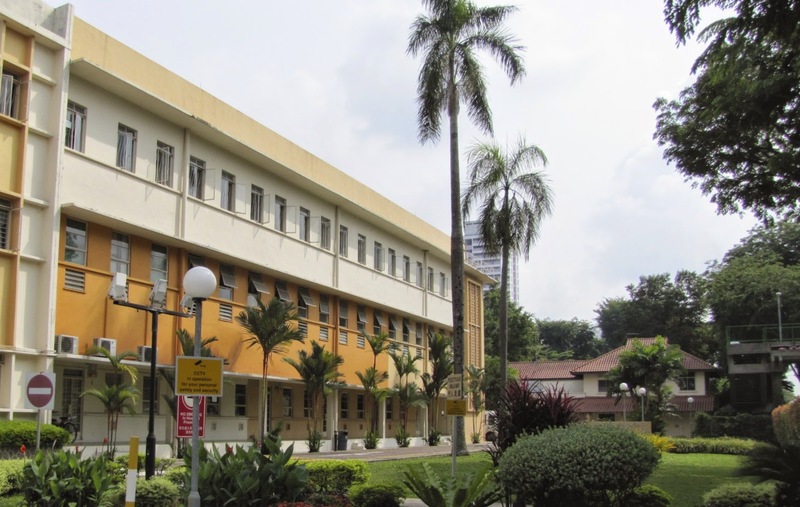 You can find Kwong Wai Shu Hospital and nursing home at 705 Serangoon Rd. Another view - the 60s building and the back colonial buildings are to remain, thankfully! 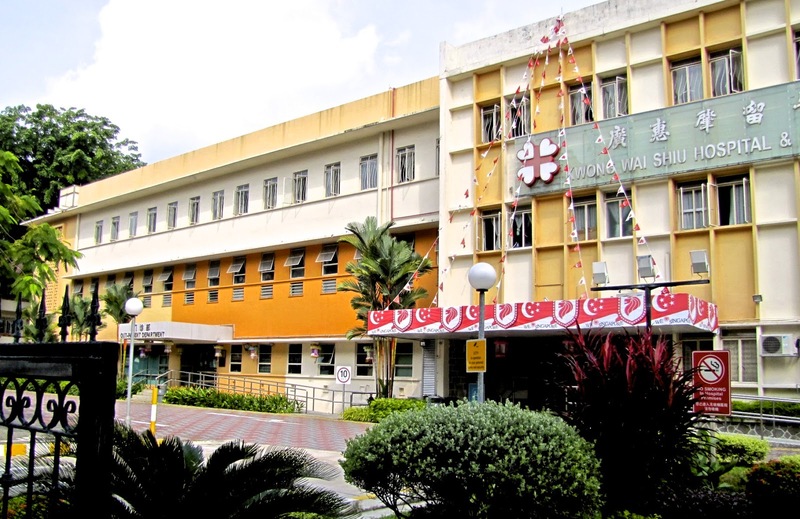 Kwong Wai Shu Hospital was originally known as the "Cantonese Free Hospital" and is one of the oldest charitable hospitals in Singapore, founded in 1910 by Cantonese merchants Wong Ah Fook (1837-1918) Leong Man San (1866-1916) Yow Ngan Pan (1863-1930) and Ng Seng Pang (1873-1953) providing free medical care for the poor from Kwong Chua (Guangzhou), Wai Chua (Huizhou) and Shui Leng (Zhaoqing) in Guangdong, China, hence the change in name which only happened in 1973. 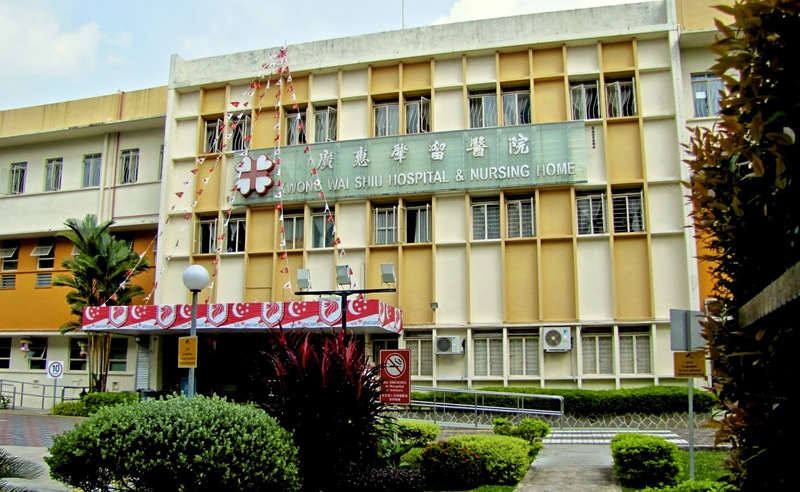 The hospital provided free care for Cantonese inpatients, although it was free to all for outpatients,but inpatients were opened to all for free in 1974. The area the Hospital sits on was known in Malay as Rumah Miskin (poor mans house) and in Hokkien Mangka ka (foot of the jackfruit tree) apparently referring to jackfruit looking sores on patients legs. 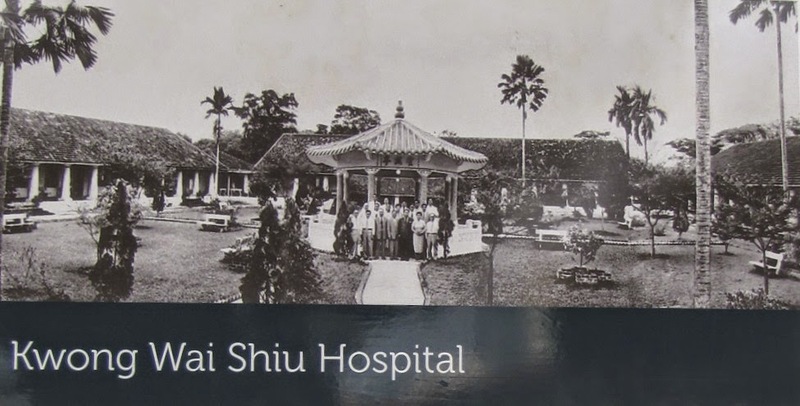 The hospital used the site of the old Tan Tock Seng Hospital (previously at Pearls Hill) which was there from 1861until it relocated in 1909 to Moulmein Rd, where it still stands. 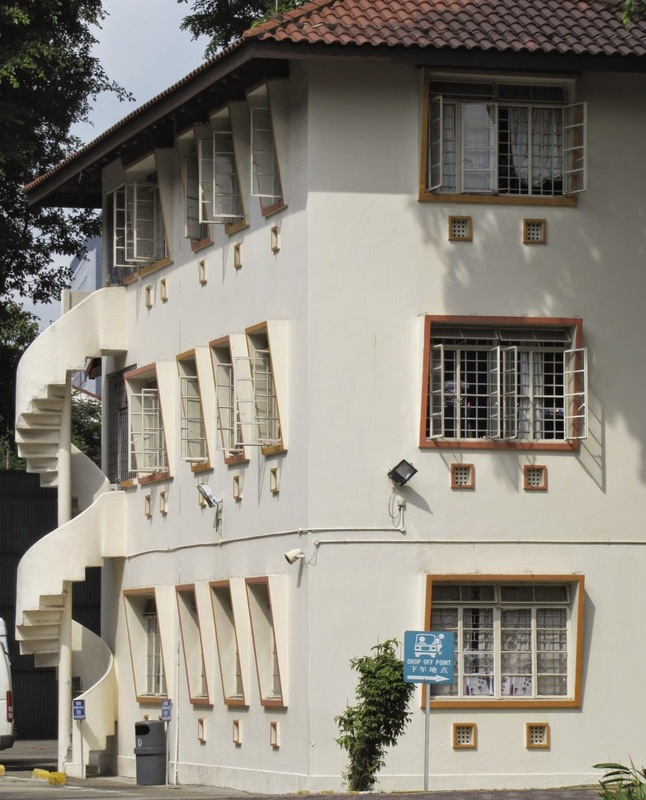 The 99 year lease was leased originally from the British Government for a yearly peppercorn rent of just $1, when the lease expired in 2010 a new lease was granted by the Singapore Government at an annual charge of $1.4 million!!! Thankfully subsidies are said to cover this, although the Hospital still relies on many charitable donations. It was announced there would be a $96 million expansion of a 12 storey building to one side. It will provide 600 beds, up from 350 and will be the "largest nursing home and medical hub for the elderly" in Singapore. 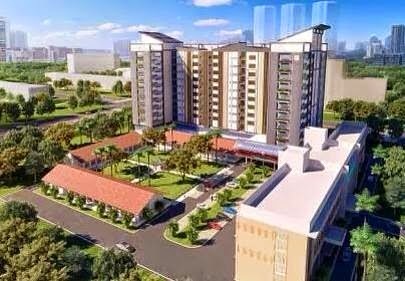 The 1960s facade and colonial buildings will be retained so I am sure much of the historical feel of the place will remain. It still surprises me what you will see in Singapore if you turn a different corner to the usual and take note of your surroundings. Happy exploring!